The bunnies have faces that are totally disarming. They do not look like terror creatures. Too cuddly. 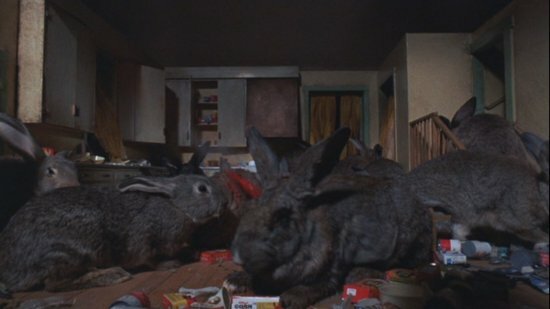 Night of the Lepus, also known as Rabbits, is a 1972 American science fiction horror film based on the 1964 science fiction novel The Year of the Angry Rabbit. 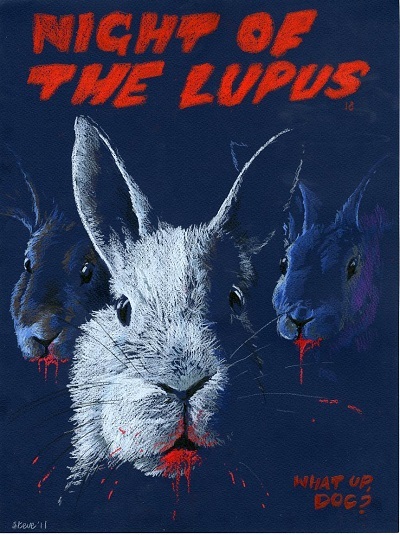 Released theatrically on October 4, 1972, it focuses on members of a small Arizona town who battle thousands of mutated, carnivorous killer rabbits. The film was the first science fiction work for producer A. C. Lyles and for director William F. Claxton, both of whom came from Western film backgrounds. 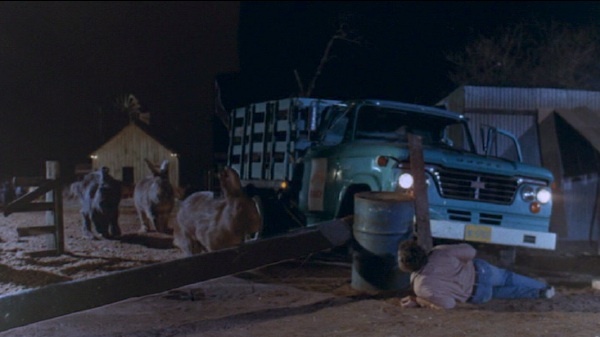 Character actors from Westerns the pair had worked on were brought in to star in the Night of the Lepus, including Stuart Whitman, Janet Leigh, Rory Calhoun, and DeForest Kelley. Before its release, Metro-Goldwyn-Mayer (MGM) renamed the film from its original name of Rabbits and avoided including rabbits in most promotional materials to try to keep the featured mutant creatures a secret. However, the studio itself broke the secret by issuing rabbit’s foot-themed promotional materials before the release. Widely panned by critics for its premise, bad directing, stilted acting and laughable special effects, the film’s biggest failure was considered to be the inability to make the rabbits seem scary. 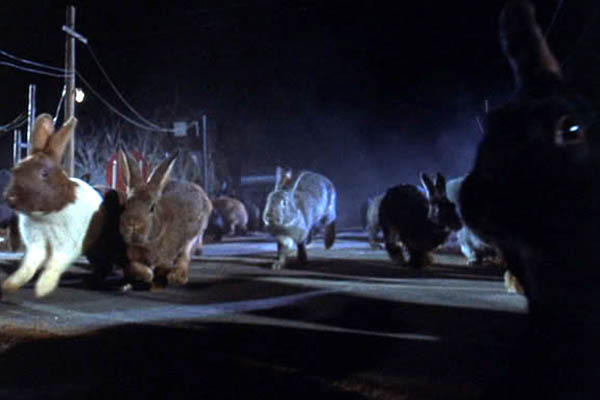 Night of the Lepus has gained cult status for its poor quality and was released to home video for the first time in October 2005 when it was released to Region 1 DVD. It has been featured in Rifftrax, the comedy troupe of Mike Nelson, Kevin Murphy and Bill Corbett, former members of the Mystery Science Theater 3000 ensemble.